E-Solution Professionals develops e-commerce software for the tire industry. Since 2001, we have provided retail tire stores and wholesale tire distributors with essential e-commerce software that makes buying and selling tires much easier. Each year over 40 million tires pass through our software systems. we are tire people at the service of Tire People. We offer a range of products specifically developed for facilitating e-commerce within the tire industry. We have over 15 dedicated servers that are distributed between two secure and geographically separated data centers. Our founders have a combined 50 years of tire experience. The ESP team shares their keen interest in the tire industry. We offer customer support on all of our products. Our team is always here to help. We are a Tire Company - using our experience and expertise in technology - to develop products used daily in the USA and Canada. Best-selling B2B e-commerce application for the Tire Industry. The World's Largest Database of Tire Information. Online Marketing Tool for Tire Retailing Businesses. Convenient Online Ordering Service, designed to Improve Sales Opportunities between Wholesalers and Tire Retailers. 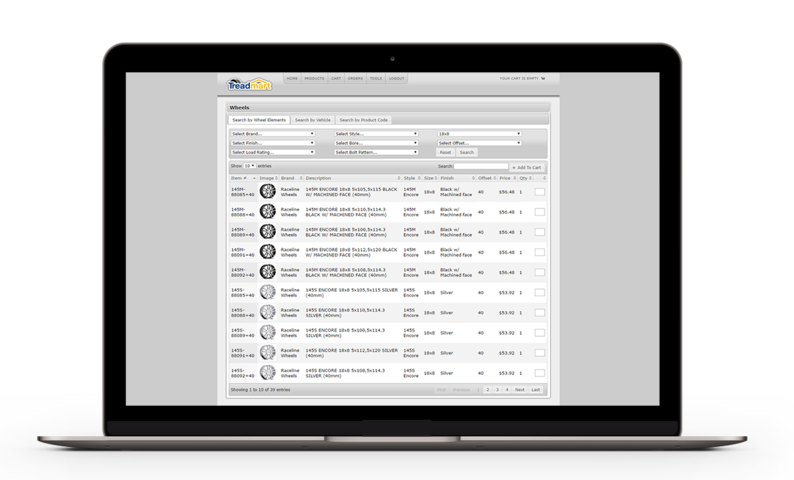 B2B Online Ordering System for Wheels, allowing customers to Search Inventory and view Wheel Data & Images. Electronic Toolbox, providing a Central Point to Manage Settings and Activities, for all ESP products. Everything we do is aimed at helping Tire Retailers, Tire Distributors and Tire Manufacturers to have the information they need at their fingertips, packaged in a way that is attractive to the consumer. First and foremost, we are tire people. Nearly every employee and all the owners of E-Solution Professionals (ESP) have extensive retail tire experience. Established in 2001, ESP was founded by two tire people with a combined 50 years of tire experience. We are not a software company working in the tire industry. We are a tire company developing software used every single day throughout the USA and Canada. We specialize in products for the tire industry. As a result, all our clients are tire and/or wheel distributors, retail chains and tire manufacturers. ESP products are widely used throughout the USA and Canada. ESP continually makes significant investments in Research and Development for new products. Because our focus is dedicated to the tire industry, we are acutely aware of how our software is being used. We owe our clients a great deal of credit in our R&D efforts. 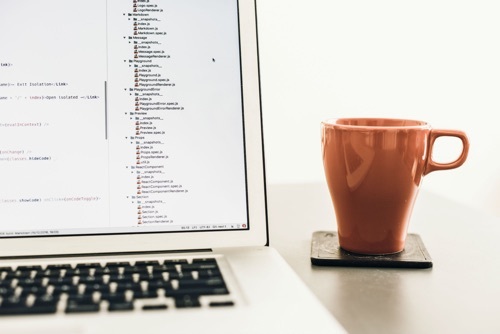 Often a client’s suggestion or request puts us on the path to a new product, a major enhancement, or a new way of deploying the information contained in our massive Tireweb databases. If you have a question or comment, we would love to hear from you. Please fill out the following form and an E-Solution Professional's team member will be in touch with you. USA and Canada's Most Popular B2B e-commerce application for the Tire Industry. The Tireweb product contains data on over 170,000 individual tires, including a range of high quality images. Using the Tireweb engine, both distributors and retailers benefit from a significant reduction in administrative tasks, saving time and money, in the process. 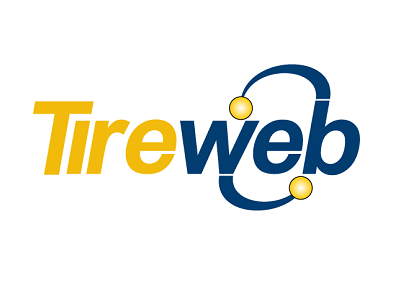 Tireweb customers enjoy a competitive advantage; complex inventory and pricing systems are simplified, tracking stock using complicated spreadsheets and calls to distribution centres are no longer required, and having details of each tire at your fingertips, ensures information provided to your customers is both accurate and current. What’s more, Tireweb is the engine used to drive all other ESP Products. What that means for you, is your investment continues to increase in Value as you implement each additional aspect of the ESP product suite. You can access Tireweb from the Tirewire Online Dashboard or through Ezytire and Tire Library. Please contact Sheila Waters on (855)-399-8473 ext. 7012 for more information on Tireweb. The World's Largest Repository of Tire Information. Tire Library’s Database is home to an extensive collection of relevant tire information, including images, specifications, features & benefits for over 170,000 individual tires, 440 tire makes and 13,000 tire models available for instant searching and browsing. 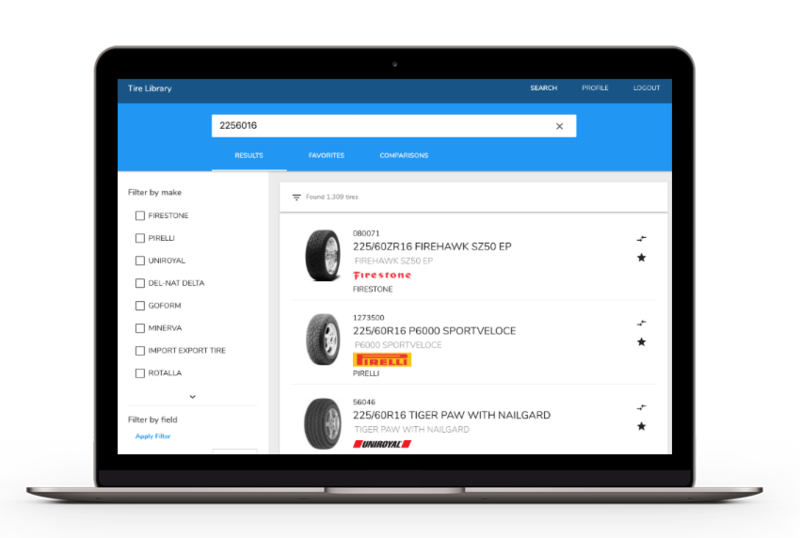 Tire Retailers access Tire Library directly, to provide information for quotes, answer customer queries or research inventory. Additionally, Tire Library supplies information for e-commerce websites for Tire Retailers. Tires in the Tire Library usually include a tire image and, where possible, one of our own 360-degree, high-resolution images. Our specialised equipment is set up in tire warehouses throughout the USA, using a turntable system to capture every angle of the tire. Tire Library ticks all the boxes. Tirel Library Subscription Service: Perfect for Tire Retailers, Tire Distributors, Tire Wholesalers and Tire Manufacturers, our subscription service allows you to browse and search our exhaustive database. 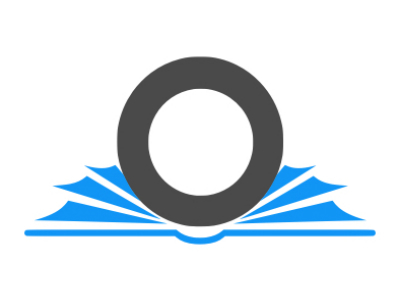 Tire Library API: Designed for website designers and developers, our tire data and images are available for third party website and software integration. Please contact Sheila Waters on (855)-399-8473 ext. 7012 for more information on Tire Library. Helps Tire and Auto Dealers increase business through Online Marketing, Scheduling, e-commerce and Analytics. 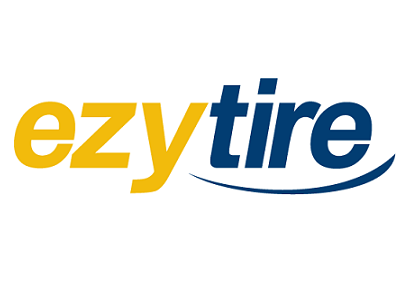 Ezytire is a website and online marketing tool for Tire Retailing Businesses. 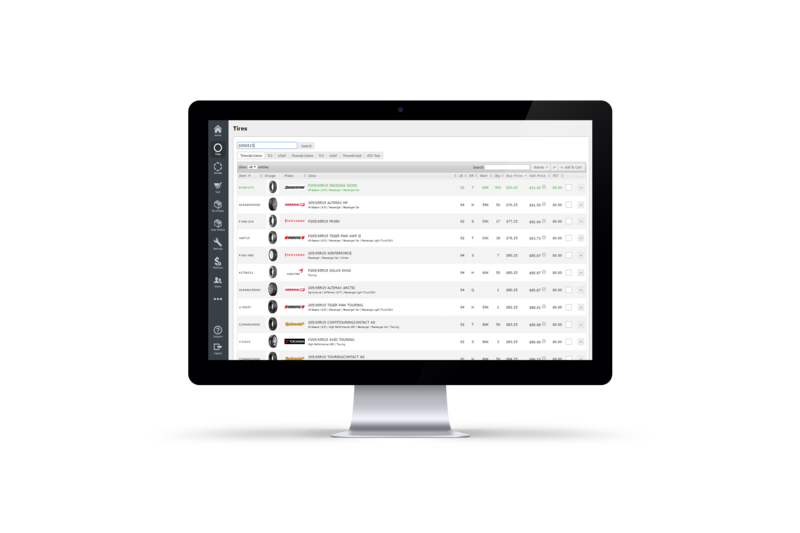 Powered by Tireweb, Ezytire provides a wealth of information to your clients, helping them to select tires from your inventory, compare prices and find special promotions. 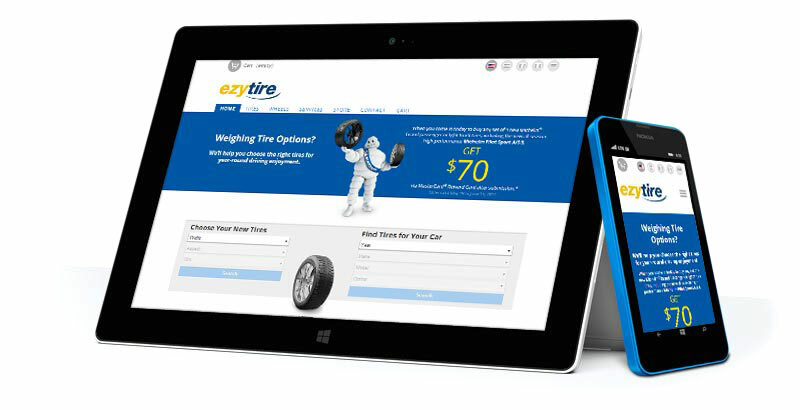 Designed with the Tire Retailer in mind, Ezytire was purposely developed to Remove the complexity of developing and managing a website. Whether you are a single-store family run business, a franchise, or a large group with multiple retail stores, Ezytire is an affordable solution to quickly and easily build an online presence. No technical skills are needed for you to put your business online and start attracting customers from the internet. Please contact Rob Rupert on 212-634-4846 for more information on Ezytire. Online Ordering for Tire Sub-Wholesalers. The Treadmart product from ESP trades on the wealth of information and industry knowledge we have accumulated from years of running our own tire stores and developing software for Tire Retailers. Now we have brought that Expertise to help Tire Sub-Wholesalers sell more tires and reduce the amount of time spent answering routine questions. 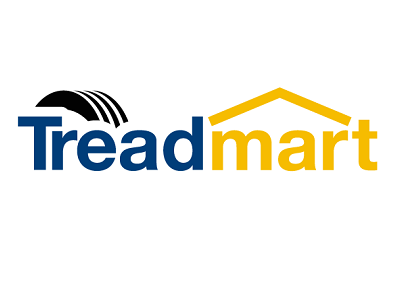 Developed with the Sub-Wholesaler in mind, Treadmart offers a convenient online ordering service for businesses working outside the retail environment. 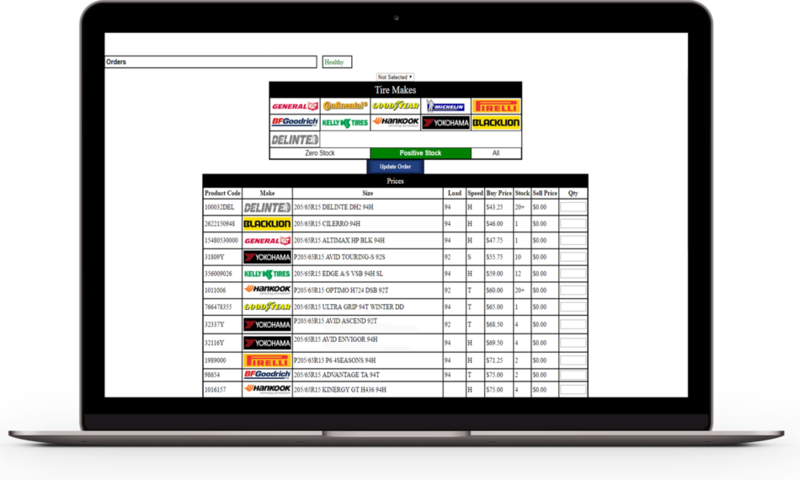 Working in conjunction with Tireweb Distributors, each of your customers enjoys the ability to view inventory and pricing information. Strictly a Business-to-Business application, Treadmart was designed to improve sales opportunities between Wholesalers and Tire Retailers. Please contact Rob Rupert on 212-634-4846 for more information on Treadmart. The WheelUnity product is an e-commerce platform for wheel distributors, this product comes fully equipped with a library of wheels which contains detailed information on individual wheel specifications along with quality images. WheelUnity uses the Tireweb engine, taking advantage of the many features available, relieving both distributors and retailers of many administrative tasks, saving time and money in the process. 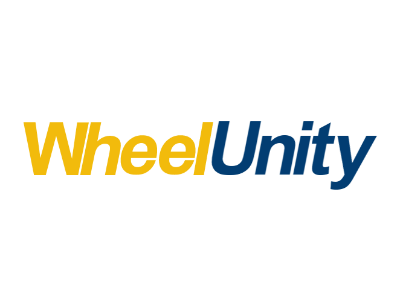 WheelUnity customers enjoy the competitive advantage of the Tireweb engine, which simplifies complex inventory and pricing systems, removing complicated spreadsheets and no longer requiring to call distribution centers. The wheel library included in this product ensures the information provided to your customers is both accurate and current. Further more, WheelUnity is naturally integrated with the Treadsearch/Treadmart products which gives your customers an even more feature rich experience, with optional addons such as searching for wheels by vehicle and previewing wheels on vehicles. Please contact Sheila Waters on (855)-399-8473 ext. 7012 for more information on WheelUnity. An Electronic Toolbox for Your Business. 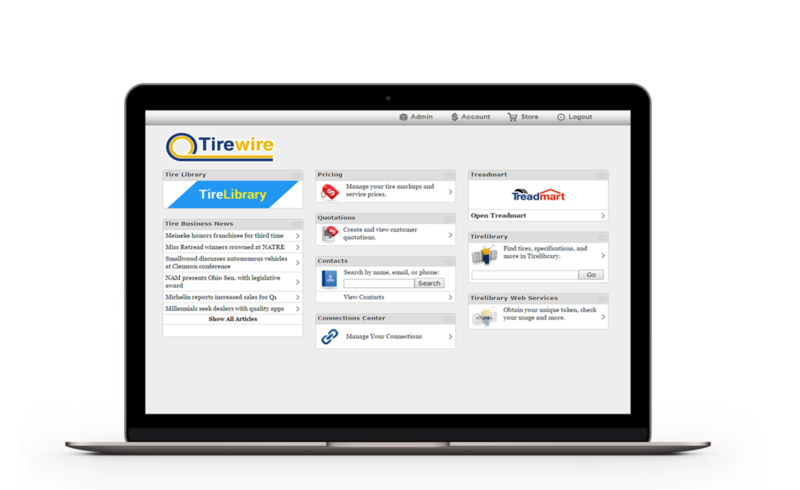 Tirewire give you easy access to data connections, markups, quotes and much more in a central dashboard. From a single location, you can manage your settings and administrative activity for all ESP Products. At the core of Tirewire is the Connection Center, a powerful tool providing standardized data and allowing you to integrate with third-party suppliers and partners. By using the Connection Center, you can make data from these partners available within ESP products or provide a uniform pass-through to other parties. 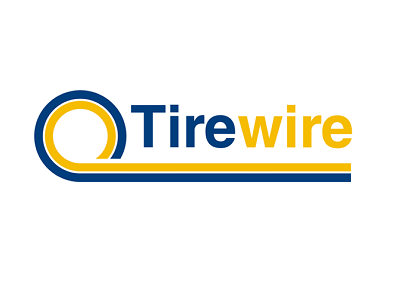 Tirewire offers a robust system to manage price markups on data connections. The option of either standard or price-range markups allows for the creation of simple, yet complex, markups that can be applied to your data connections. Please contact Tom Hein on (855)-399-8473 ext. 7016 for more information on Tire Library.